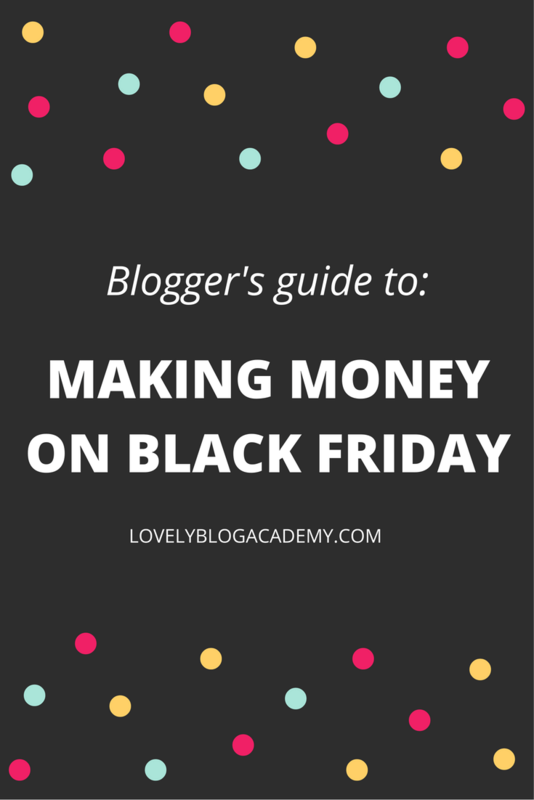 If you’re a blogger who monetizes their content with affiliate marketing, Black Friday can be very lucrative. Note: in the following paragraph and throughout the rest of this post I’ve used referral links to affiliate networks that I’m a member of (and use every single day). See my full disclosure here. 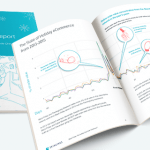 If you need any convincing about the importance of Black Friday and Thanksgiving weekend, check out the guide recently published by SkimLinks (the affiliate aggregation and monetizing platform). It’s titled, “Black Friday: The holiday that stole Christmas?”. More people buying means more potential affiliate earnings, of course. 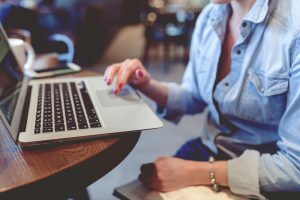 If you’ve never heard of affiliate marketing before, don’t stop reading! According to AWIN, over 100 affiliates made their FIRST EVER commission on Black Friday 2015. So, now is the perfect time to get started OR ramp up your efforts! If you’re completely new to affiliate marketing, check out my free quick start guide here! Black Friday is a long way off, but here are a few tips you can use to get organised closer to the time. 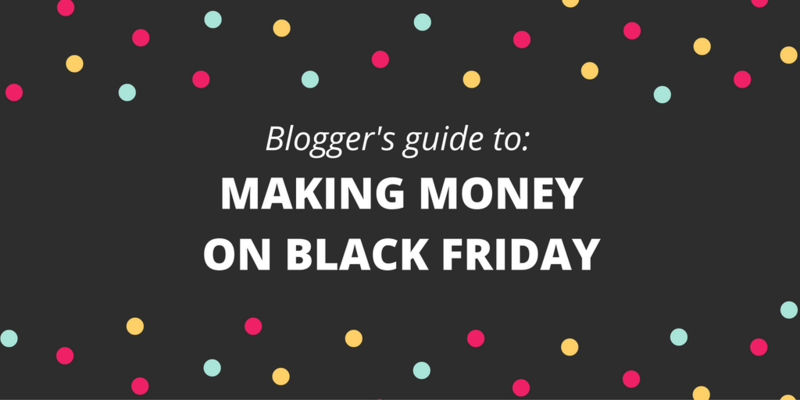 Plan: Think about when you’d like to start working on your Black Friday content. Use apps: Consider using apps like Trello, Asana, Plan or Evernote to brainstorm and organise your thoughts. Email tip: Create a dedicated ‘OFFERS’ folder or tag in your inbox. That way you’ll be able to keep on top of the neverending Black Friday emails and find them easily. 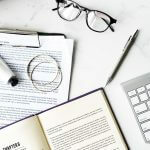 Batching: Consider batching tasks for efficiency: writing, image creation, link building, and uploading content to your blog can all be done in batches. Schedule: Have all your content scheduled to publish ahead of time, where possible? 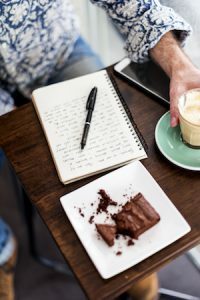 Content tips: what should I write? Deals your readers will love: Definitely create a blog post outlining the best Black Friday deals appropriate to your niche (e.g. I’ll be posting a list of deals for bloggers on this site. If you’re a beauty blogger, consider a list of deals for makeup fanatics…etc.) You can publish more than one post…. deals on make-up sets, deals on brushes and accessories… you get the picture! Your wish list: Go window-shopping at your favourite online stores and share a wish list with your readers. Your haul: If you’re taking advantage of the Black Friday sales and treating yourself to a few items, publish a post revealing what you’ve bought and how much you’ve saved! Targeted gift guides: Create multiple gift guides targeted at different aspects of your personality (e.g. dog lover, girly girl, geeky girl, food lover, etc.). Now add yours: Do you have an idea that I should add to this list? Add it in a comment below and I’ll move the best ones up to the main article with a link back to your site. Be helpful and give your readers options! 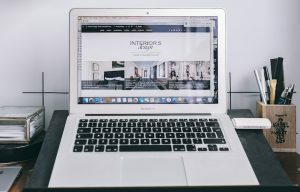 List the different department stores where items can be purchased, then add useful information like which retailer gives 10% off for signing up for a newsletter and who gives free shipping and returns. Add affiliate links to image captions. (WordPress tutorial here). The ‘Triple Threat’ and how to use it in blog posts. Don’t forget to leverage your audience on social media too. Twitter: Consider using a tool like Hootsuite or Buffer to schedule messages across Black Friday, Thanksgiving Weekend and Cyber Monday. Tweet links to your content and share affiliate links to offers that your readers will genuinely be interested in. Facebook: Promotional posts don’t get much reach on Facebook. Their algorithm detects words like ‘sale’, ‘offer’ and ‘discount’. This is important to consider if you’re posting affiliate links directly to the page. You might have better luck linking to your blog content instead. This year, I’m going to experiment with Facebook Ads. If you’re familiar with the ad platform, this could be something to consider. If not, perhaps put it on the back burner until next year. 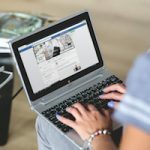 Related: Can I use affiliate links on my Facebook page? Affiliate Window. (Pin the item to a board as normal. Go to Affiliate Window and generate a deep link to the product. Copy it to your clipboard. Go back to Pinterest and view the pin. Click edit. Replace the retailer’s URL with your affiliate URL). WordPress.com. (Use the Link Ninja bookmarklet to pin directly). Shopstyle Collective. (Use the LinkIt bookmarklet to pin directly). Linkshare. (Pin the item to a board as normal. Go to Linkshare and generate a deep link to the product. Copy it to your clipboard. Go back to Pinterest and view the pin. Click edit. Replace the retailer’s URL with your affiliate URL). Commission Junction. (Pin the item to a board as normal. Go to CJ and generate a deep link to the product. Copy it to your clipboard. Go back to Pinterest and view the pin. Click edit. Replace the retailer’s URL with your affiliate URL). Instagram: Both Shopstyle Collective and RewardStyle have tools that allow you to publish affiliate links to Instagram. Shopstyle’s is called “Looks & Collections”, RewardStyle’s is called Liketoknow.it. You can also schedule Instagram posts (promoting your blog posts) using Later and Buffer. Snapchat: Shopstyle Collective recently launched “Emoticode” as a way to monetize Snaps. It’s not something I’ve tested, but if you have a large audience on Snapchat, it might be worth a try! Note: If you’re using affiliate links in social media platforms, there are rules about disclosure. They don’t solely apply to your blogs. I’d recommend everyone take a peek at this guide from Marketing Land. Related: Shortening affiliate links for use on social media. How often should I publish/share offers? Of course, the more often you post affiliate links on social media or publish blog posts containing affiliate links, the more chance you have of earning commissions. But how much is too much? You don’t want to spam your readers. In their Black Friday guide, WordPress.com recommended posting to your blog a minimum of four times between Thanksgiving and Cyber Monday. They also recommend posting at least twice a day on Instagram with Liketoknow.it. This sounds like a reasonable amount to me. But remember, anything is better than nothing! For Twitter, I schedule tweets around peak times (according to Buffer’s Optimal Timing Tool), but never more than one or two an hour. Last year, SkimLinks found that 34% of sales came from tablets and smartphones on Black Friday. This is in line with data released by IBM. I’ve seen similar figures quoted from Affiliate Window too. Make sure your site is mobile ready. If not, you could be losing valuable affiliate commissions. 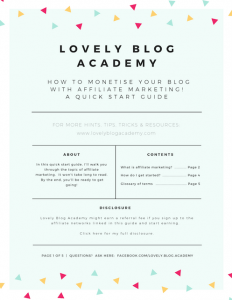 If you’re using a responsive or mobile blog theme, great! But do spend 10 minutes double checking it this week. If you don’t have a responsive website theme that works on tablet and mobile, consider installing JetPack by WordPress.com and enabling the Mobile Theme module in your dashboard. Less technical method: just write a message at the top of your post/s in a bright colour and create a link to your newer content. More technical method: 301 redirect the old posts to new posts. Don’t wait until Friday to write your post. Most networks/platforms will have an offers/discount code section. You can log in and find codes ahead of time. Note: you cannot post them early. You have to wait until the ‘start’ date. SkimLinks: Navigate to the ‘offers’ tab at the top. Affiliate Window: Navigate to ‘links and tools’ at the top, then ‘my offers’. Webgains: Navigate to ‘ads’ at the top, then ‘voucher codes’ or ‘offers’. WordPress.com: Users will receive an email with a list of codes later this week. Weds/Thurs I believe. In the meantime, check their blog section for ‘advertiser spotlights’. Shopstyle Collective: There’s a blog post full of codes here. It’s being updated daily. ShareASale: Navigate to ‘links’ at the top, then ‘Black Friday & Cyber Monday deals’. Go and swot up on the Shopstyle Collective blog. (You don’t have to be a member to read). 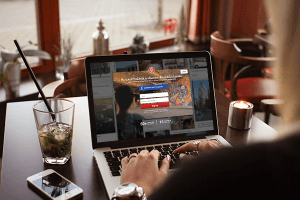 RewardStyle members can explore the holiday strategy category on the platform’s blog. Check out SkimLinks’ Black Friday posts on their blog here. If so, please consider sharing with your blogger friends to spread the word! It’d help me immensely. I’d also appreciate a few Pins on this graphic, thank you very much!